This is a traditional Jewish item, often attached to a bassinet, crib or stroller. 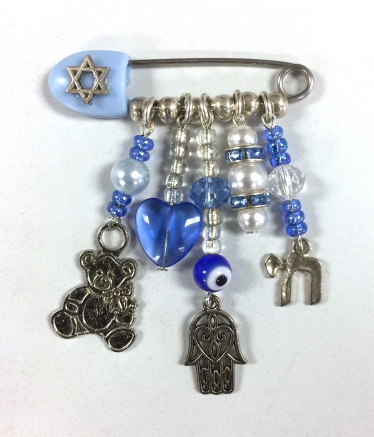 Includes a "Chai" charm, "Evil Eye" bead, a hamsa charm, and a Teddy Bear charm. This would be a thoughtful gift and a keepsake item. It would make a great baby shower gift!